For the vast majority of us, 2012 is proving to be a pretty tough year financially. We are tightening our belts, battening down the hatches and finding creative ways to make our money stretch a little further each month. Enter a new wave of budget androids available on the market place. I know what you’re all thinking; budget means basic. But, that no longer has to be the case. Mobile technology has come a long way since the days of featureless, boring budget handsets. It is now possible to purchase a pre paid cell phone you wont be embarrassed to take out of your pocket, without breaking the bank. For such a small phone, this one packs a punch! It’s stylish, sleek, lightweight and affordable. The Dart is 3G capable, and features the Google Play Store app, which allows you direct access to a multitude of fun and useful applications. You can also access the web, social networking sites and take advantage of Wi-Fi calling. For anyone expecting basic when shopping on a budget, the LG Optimus T will blow you away. It’s pre-loaded with voice actions for android, and lets you make calls, send messages and much more – all by using simple voice commands. The Web is easily accessible, as are the thousands of Apps available in the Android Market. It also features a 3.2 mega-pixel camera, allowing you to take great quality pictures from your phone. Priced slightly higher than the previous two, but with plenty of features to make it well worth its money. This high performance android powered smartphone runs and downloads at lightning speeds by using the on board 1Ghz processor. 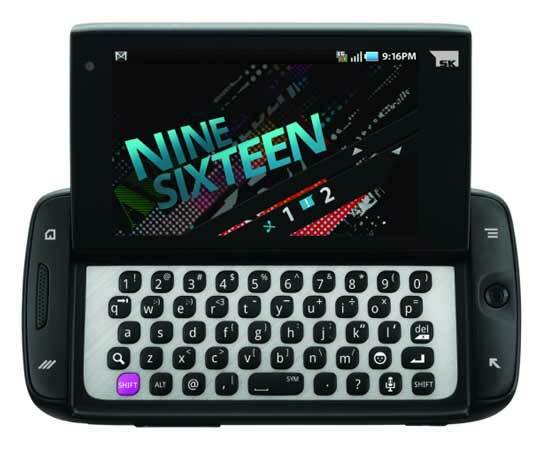 Features a 3.5-inch touch-screen as well as a sliding 5 row QWERTY keyboard. You can also text messages in an innovative new way by sliding your fingers over the letters that make the words you want to spell – it’s called Swype is set to be big! Priced at the lower end of the market, this no frills handset will work hard to earn its keep. The t139 offers text, IM and picture messaging, a handy camera and Bluetooth connectivity. It’s lightweight and super easy to navigate. This article was written by Kathryn Thompson. Kathryn is an experienced tech blogger has written about topics from GPS trackers to the latest in mobile technology. Kathryn enjoys keeping in touch with friends using with her pre paid cell phone.